Spices have been known to compliment food throughout the ages, however apart from their great taste sensations to add to recipes they have many health benefits, antimicrobial properties and disease preventing nutrients and have a high concentration of phytochemicals which ward off disease. 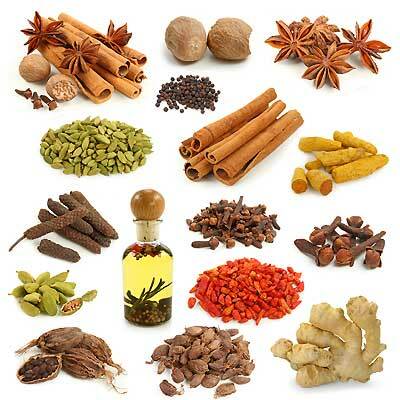 Spices derive from a plant's bark, berries, seeds and roots. All spices are different and offer different health benefits. 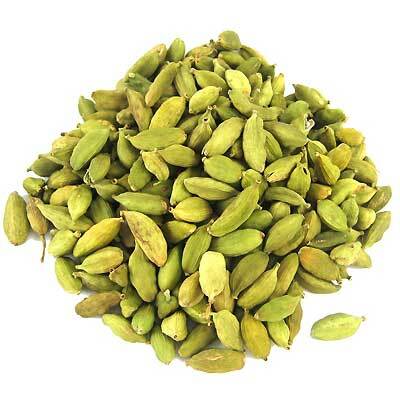 Cardamom (or cardamon) refers to several plants in the ginger family . They are native to India, Nepal and Bhutan and are recognised by their small seed pods, triangular in cross-section and spindle-shaped, with a thin, papery, outer shell and small black seeds. Cardamom is the world's third most expensive spice by weight, outpriced in market value only by saffron and vanilla, the precious pods are relatively pricey, as each one must be handpicked. Known as “ela” within Ayurveda, where it is considered to be a very useful and effective medicine principally due to the high amounts of volatile oils such as borneol, camphor, eucalyptol, limonene and terpinine, among others. Ancient Greek, Roman, Egyptian and Arab cultures were equally fond of the spice, which was considered to have aphrodisiac qualities and was used in love potions; the Arabian Nights makes frequent reference to it. 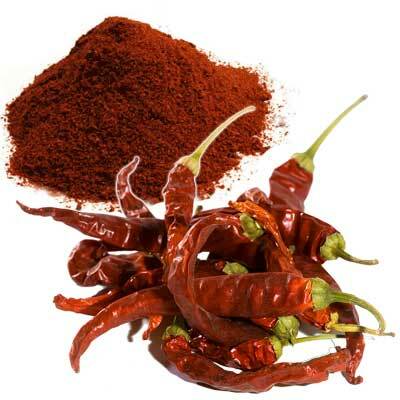 The cayenne pepper — also known as the Guinea spice, cow-horn pepper, aleva, bird pepper, or, especially in its powdered form, red pepper — is a red, hot chili pepper used to flavour dishes. Lower the risk of cardiovascular disease, stroke and pulmonary embolism. Reduce LDL cholesterol in the bloodstream. Increase the body's ability to dissolve fibrin, a substance required for blood clot formation. Protects blood fats from damage by free radicals. Clears congestion by stimulating the production of secretions used to clear mucous from the lungs, throat and nose. Protects against some cancers including prostate cancer. Lowers the risk of Type II Diabetes. Cinnamon is a spice obtained from the inner bark of several trees from the genus Cinnamomum that is commonly used in both sweet and savoury foods. Cinnamon has been known from remote antiquity. It was imported to Egypt as early as 2000 BC. Improves memory and cognitive function. Reduces the cell growth of Leukaemia and lymphoma. Reduces clotting of the blood. Has been shown to provide significant relief in arthritis pain when combined with honey  . Inhibits bacterial growth and food spoilage, making it a natural food preservative. Cinnamon is also an excellent source of iron, calcium and manganese. There are 2 kinds of Cinnamon Ceylon cinnamon is known as the "true cinnamon" or the "real cinnamon" which possesses outstanding health benefits. This cinnamon is native to Sri Lanka and comes from the inner bark of Cinnamomum verum which used to be called Cinnamomum zeylanicum when Sri Lanka was known as Ceylon. What you will find in your supermarket is most likely not the real cinnamon but Cassia cinnamon ( aka Chinese cinnamon), which comes from a related BUT different plant Cinnamomum cassia which is mostly cultivated in China and Indonesia. While the two species of cinnamon share certain characteristics such as antimicrobial action, in terms of inhibiting the growth of fungi and yeast, and regulating blood sugar, their contents differ much in terms of the amount of coumarin, which is a naturally ocurring substance with strong blood-thinning properties. 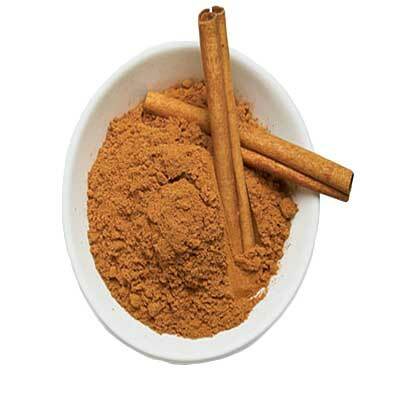 Contraindications:  Cinnamon has been known to have these side effects: skin Irritation, stomach Irritation, increased heart rate, uterine contractions, blood thinning. Cloves are the aromatic dried unopened pink flower buds of a tree native to the Maluku islands in Indonesia and used as a spice in cuisines all over the world. 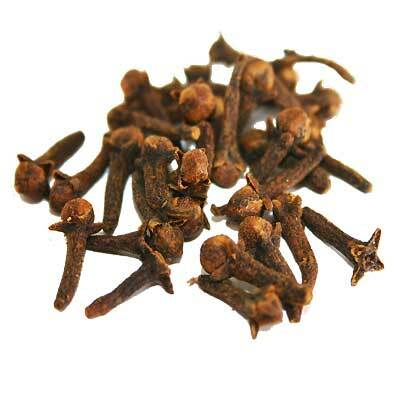 Cloves are harvested primarily in Indonesia, India, Madagascar, Zanzibar, Pakistan, and Sri Lanka. They have a numbing effect on mouth tissues and are often considered a first response in the field to toothaches. Cloves contain a significant amount of the active substance eugenolwhich comprises 72-90% of the essential oil extracted from cloves and is also found in nutmeg, cinnamon, basil and bay leaves. Protects against toxicity from environmental pollutants such as Carbon tetrachloride. 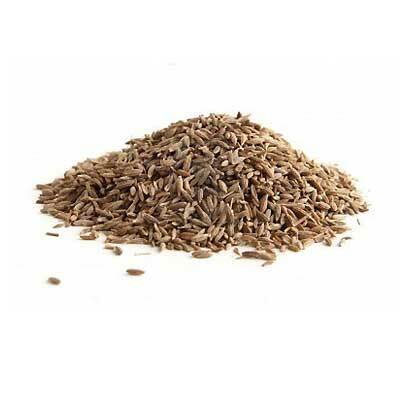 Cumin is a flowering plant native to the area between the eastern Mediterranean and India. Its seeds are used in the cuisines of many different cultures, in both whole and ground form. Cumin has been in use since ancient times. Seeds excavated in Syria have been dated to the second millennium BC. They have also been reported from several New Kingdom levels of ancient Egyptian archaeological sites. increase general immunity and protects against conditions such as anaemia. Aid digestion by stimulating pancreatic enzyme secretion that in turn assists in the breakdown of food. Carry anticarcinogenic properties that may protect from some cancers. Fennel is a plant indigenous to the shores of the Mediterranean, but has become widely naturalised in many parts of the world, especially on dry soils near the sea-coast and on riverbanks. The health benefits of fennel include relief from anemia, indigestion, flatulence, constipation, colic, diarrhea, respiratory disorders, menstrual disorders, eye care to name a few. Relieving indigestion, flatulence, constipation and diarrhoea. Its a high Iron content which helps people with anaemia. Clearing congestion and therefore is useful for respiratory disorders such as smokers cough or bronchitis. Regulating menstruation by regulating the hormones. Protecting eyes from inflammation, macular degeneration and general irritation. Acting as a diuretic helping the body eliminate toxic substances. 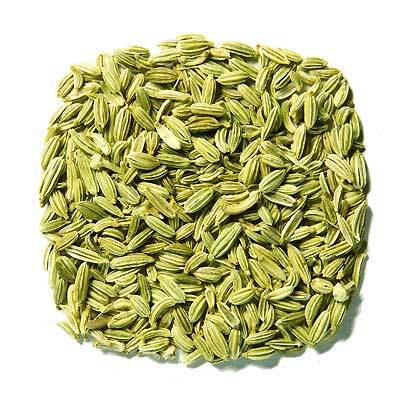 Contraindications: overdosing on fennel may induce trouble in breathing, increase heart arrhythmia ( palpitations and irregular heart beat) and also neurotic problems. Ginger or ginger root is the rhizome of the plant Zingiber officinale native to South Asia and has since spread to East Africa and the Caribbean. 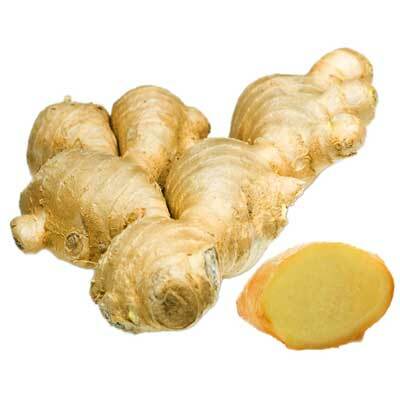 Ginger is consumed as a delicacy, medicine, or spice. It lends its name to its genus and family (Zingiberaceae) whose other notable members are turmeric, cardamom, and galangal. Relieves gastrointestinal problems such as motion sickness, morning sickness, nausea, vomiting. Relieves dizziness and cold sweats. Arthritis and Migraine pain relief. Protects against colorectal and Ovarian cancer. 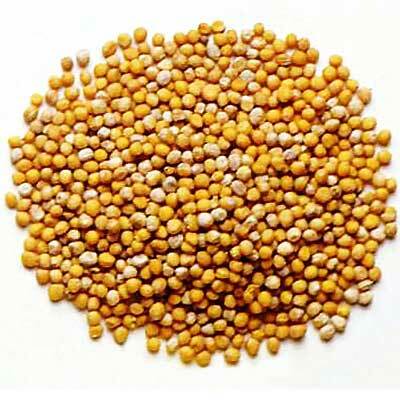 Mustard seeds are the small round seeds of various mustard plants who are in the same family as cabbage, brussel sprouts and broccoli. The seeds are usually about 1 or 2 mm in diameter which may be colored from yellowish white to black. They are important spices in many regional foods and come from three different plants: black mustard (Brassica nigra), brown Indian mustard (B. juncea), and white mustard (B. hirta/Sinapis alba). The earliest reference to mustard is in India from a story of Gautama Siddhārtha in the 5th century BCE. Gautama Buddha told the story of the grieving mother (Kisa Gotami) and the mustard seed. When a mother loses her only son, she takes his body to the Buddha to find a cure. The Buddha asks her to bring a handful of mustard seeds from a family that has never lost a child, husband, parent or friend. When the mother is unable to find such a house in her village, she realizes that death is common to all, and she cannot be selfish in her grief. In the Bible the Mustard seed is held up as an example of the power of faith (Matthew 17:20: If ye have faith as a grain of mustard seed, ye shall say unto this mountain, Remove hence to yonder place; and it shall remove; and nothing shall be impossible unto you). Are protective against some cancers such as colorectal and gastrointestinal tract cancer. Relieves symptoms of rheumatoid arthritis. Reduces frequency of migraine headaches. 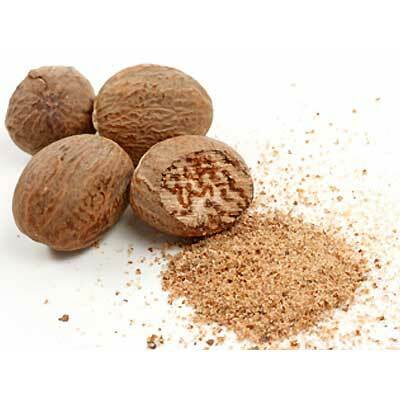 The nutmeg tree is any of several species of trees in genus Myristica. The most important commercial species is Myristica fragrans, an evergreen tree indigenous to the Banda Islands in the Moluccas (or Spice Islands) of Indonesia. Nutmeg is known to have been a prized costly spice in European medieval cuisine as a flavouring, medicinal, and preservative agent. Saint Theodore the Studite (ca. 758 – ca. 826) allowed his monks to sprinkle nutmeg on their pease pudding when required to eat it. In Elizabethan times, it was believed nutmeg could ward off the plague, so nutmeg became very popular and its price skyrocketed. Relieves stomach cramps and aches. Detoxifies the body, particularly the liver. Enhances cognitive ability and stimulates dreams. Relieves joint and muscle pain and swelling. Helps respiratory conditions such as coughs and asthma. Helps dissolve kidney stones as well as relieve kidney infections. Contraindications: Nutmeg should be used in moderation—a pinch or two is considered safe. However, large doses can trigger an acute psychiatric disorder and hallucinations, convulsions, palpitations, generalised body pain, vomiting, nausea and eventual dehydration;, it can even cause death. Pregnant women and nursing mothers should avoid the use of nutmeg. It can cause miscarriage in pregnant women. It also contains hallucinogens that may affect the foetus, if consumed in large quantities. It can also trigger dizziness, nausea and difficulty in urination. Touching nutmeg can cause allergic skin reaction. It should be kept out of reach of children and pets. has been used in the Ayurvedic Indian tradition and medicine for many centuries. The medicinal properties of this spice have been slowly revealing themselves over the centuries. Long known for its antiinflammatory properties, recent research has revealed that turmeric is a natural wonder, proving beneficial in the treatment of many different health conditions from cancer to Alzheimer's disease. Turmeric can help prevent diseases such as cancer and slow down the aging process by combating free radicals, which cause damage to healthy cells in the body. 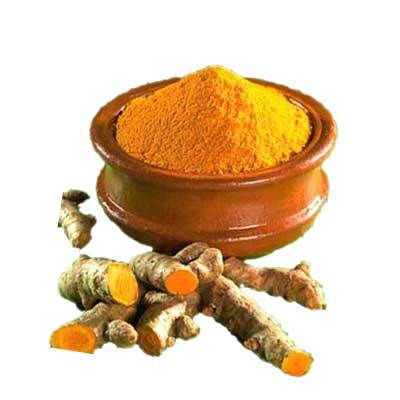 Contraindications: Turmeric should not be used by people with gallstones or bile obstruction. Though turmeric is often used by pregnant women, it can be a uterine stimulant. cayennepepper.info What Are The Health Benefits of Cayenne Pepper?